Scientific Association for Spatial Development (SASD) was founded in March 2005 by experts and leaders of acknowledged Hungarian companies being active in the field of regional development. Goals: participation in domestic and international innovative projects that promote the regional development and international cooperation. So far, we have contributed to rural development, regional development complex for the Danube and the European macro-regional strategic planning and future needs of the water sector. The members are natural persons: the regional economy, tourism, future research, transport, logistics and environmental protection experts, scientific-grade teachers. formulating the Professional Ethics’ expectations and requirements, representing and enforcing them as well. Building partnerships with domestic and cross-border regional development actors. advancing qualification and employment of the labour market’s disadvantageous classes and related services. dealing with business activities which serves the public without endangering them. participating in existing enterprises, firms and establishing new ones. Dr. Attila Korompai Associate professor at Corvinus University,Bp. László Herald, chartered architect, Executive Director, Radiáns Ltd. In May 2015 SASD pools around 60 members. Among them many of the most recognised and experienced actors concerning territorial development and environmental management in Hungary. However this number is still not final as new members join SASD each month. Association of Lower Danube Municipalities for Cooperation. Operating in one of the countries that have joined the European Union in 2004, SASD is familiar with the specific problems affecting new member states. Through our members and member organizations we have widespread relationships with organizations and institutions from both other new member states (Slovakia, Poland, Czech Republic, Romania, Bulgaria,) and candidate countries (Serbia, Moldova, Ukraine) deriving from our geographic location in the border areas of the European Union. SASD maintains contacts with organizations from the EU15 countries as well including Italy, Austria, Spain, Germany and Greece. To coordinate the sectorial strategies for the 4 areas. 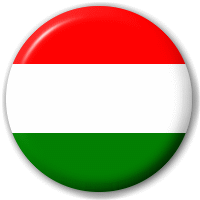 Coordination of work in Hungary. Adress: HU, 2500 Esztergom, Kis-Duna sétány 24.